A listening exercise to introduce the second conditional. 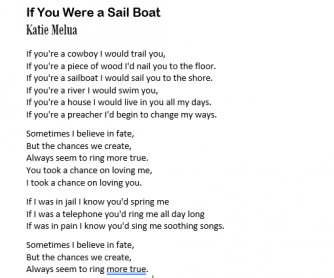 The song is: "If You Were a Sailboat" from Katie Melua. 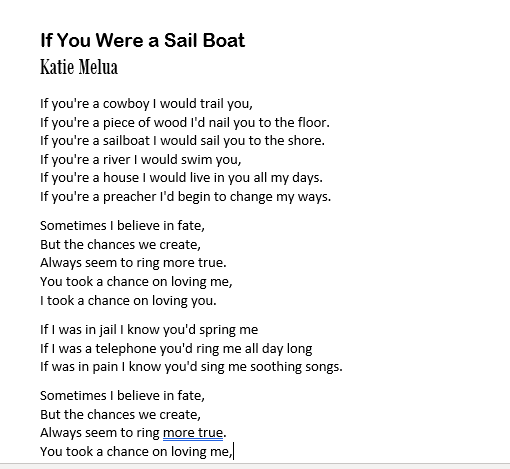 The link for the YouTube video is on the firs page as well as the original lyrics. There are four different exercises forcing students to be very attentive to the song's lyrics.